President Obama has signed a proclamation which will make the Pacific Remote Islands Marine National Monument the largest marine reserve in the world. Up until now, the Pacific Remote Islands Marine National Monument was a group of unorganized, mostly unincorporated United States Pacific Island territories managed by the Fish and Wildlife Service. They host many important species, including corals, fish, shellfish, marine mammals, seabirds, water birds, land birds, insects, and vegetation not found elsewhere; now, they have been declared “the most widespread collection of marine- and terrestrial-life protected areas on the planet under a single country’s jurisdiction”. 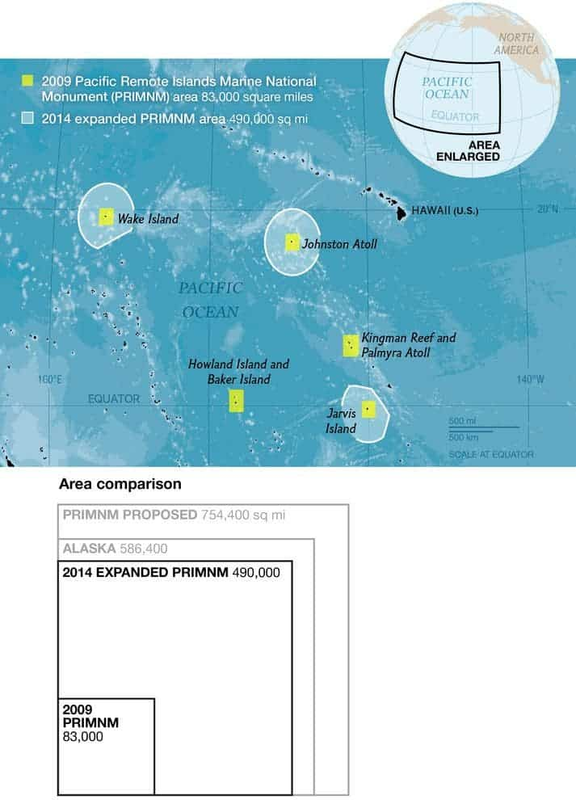 The Pacific Remote Islands Marine National Monument will now measure nearly 490,000 square miles (1.3 million square km), six times its initial size, and about 3 times as big as Germany. It will also be bigger than all the natural on-land parks in the US combined. 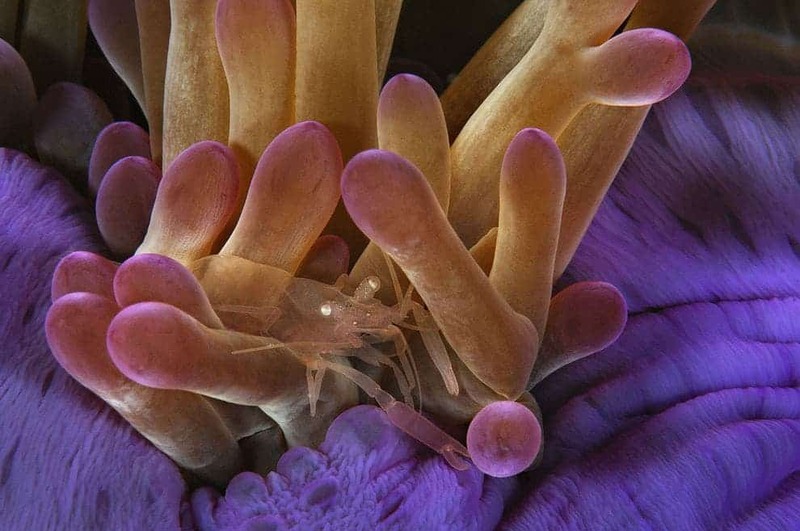 So what does being a Marine Park entail? Well, a Marine Park is a park consisting of an area of sea (or lake) sometimes protected for recreational use, but more often set aside to preserve a specific habitat and ensure the ecosystem is sustained for the organisms that exist there. So the main purpose is to preserve the habitat and ensure the sustainability of the ecosystem. To this end, commercial fishing, dumping, and mining will be prohibited in the reserve. However, recreational fishing is still allowed – with permits. “What has happened is extraordinary. It is history making. There is a lot of reason we should be celebrating right now,” said Elliott Norse, founder and chief scientist of the Seattle-based Marine Conservation Institute. Indeed, this decision seemed to please everybody except the big fishing companies. Fishing stocks have been harvested unsustainably throughout the world’s oceans, and this type of proclamation is way overdue, if we want to maintain fish stocks and help preserve pristine marine ecosystems. Allowing recreational fishing, which doesn’t have a major impact on the habitat was also hailed. “Going back to his first campaign, the President has said that his agenda regarding access to public lands is going to be one that ensures the outdoors is available to the next generation,” said American Sportfishing Association President and CEO Mike Nussman. 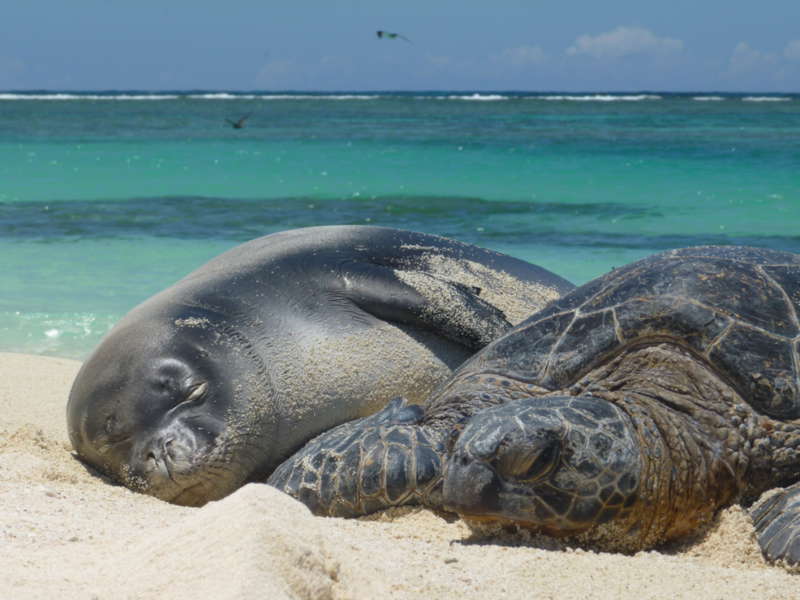 A young Hawaiin Monk Seal and a Green Sea Turtle are both species that will be protected as part of the proclamation. Image credits: Refugee Association. “Although 71 percent of our planet is covered with saltwater, we have protected much more of the land than the ocean,” Helvarg said. But the newly expanded monument is a big step in the right direction, he added. It’s all good to declare Marine Parks, but how do you actually enforce the measures? When you’re dealing with such a huge and remote area, how do you make sure that there are no criminals abusing the park? Personally, I think this is a remarkable achievement – and while it may take a while, and a lot of money to actually enforce these measures, the long term benefit will severely outweigh the costs. Give us more Marine Parks… more !